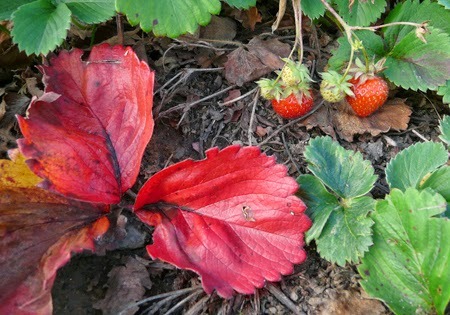 Winter might be round the corner but the strawberries have been conned into a second crop. Nasturtiums sprouting everywhere and bees legs are jam-packed with pollen. A bottle of San Miguel and a passing steam train on Campbell’s Platform – what more could one ask for?